Nintendo Considering Price Cuts For Wii U Games - Taking "Skeptical Apporach"
Nintendo is having a hard time with its eighth generation Wii U console, the console is selling even stumpier than its predecessor and the release of PlayStation 4 and Xbox One consoles has made the situation even worse but Nintendo’s consoles have a habit to make it slow into the market. Nintendo Wii U has shown some positive sales rates for previous months and the manufacturer is trying to take these sales charts further ahead. On one hand, Nintendo is going smooth in the handheld business with its 3DS console, but on the other, Nintendo Wii U’s market progress is nowhere near satisfactory and the manufacturer is well aware of the situation. Nintendo recently sliced its forecasts for the company’s current fiscal year earnings. Nintendo’s President Satoru Iwata recently held a conference in Osaka to explain why the company parted its forecasts. He also hinted that the company might announce price cuts for the Wii U titles. The statement leaves an impression that Nintendo has finally started to think about announcing price cuts for Wii U, but not for the console itself, rather for the software. Nintendo’s original strength is its games and they are the reason why the Wii U is still known in the market, the manufacturer could reduce the software prices for the console because cheap games are apparently better than a cheap console. Consoles are expensive to build, and the manufacturer gains very little or sometimes no profit at all from the console sales so Nintendo would not announce a price cut for Wii U until it finds a cheap way to build it or until it decides to raise the software prices, which it would not. Games, on the other, do not require much cost for per unit manufacturing so even if Nintendo decides to take a little loss from the software, eventually larger sales would turn the loss into profit. This means the price cuts for the games would be more helpful in raising the Wii U sales. If that works out fine, Wii U would get a push into the market and the console would become a visible choice in players’ selection. 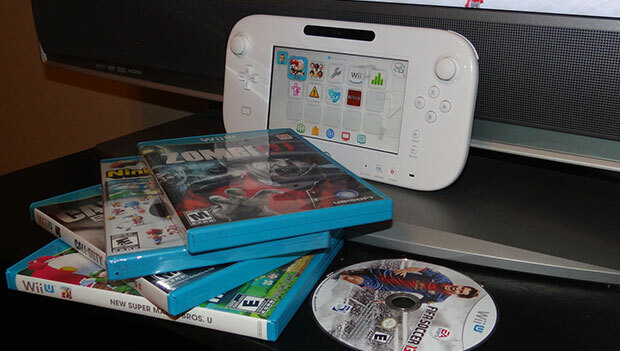 What do you think about the future of Nintendo with Wii U? Please share your thoughts in comments.